You Are Here: Home > What are the 2018 Acura TLX Technology Features? The 2018 Acura TLX technology helps to redefine the modern sport sedan thanks to features like Apple CarPlay, Android Auto, an available wireless charging system for your smartphone, and more. Pair all this with the On-Demand Multi-Use Display 2.0 and surround view camera for a car that’s intuitive, safe, and connected. Explore the 2018 Acura TLX technology features below. Apple CarPlay lets you access your iOS device’s direction, send/receive text messages, and listen to music right on your vehicle’s in-car display. Android Auto is standard and allows you to access your Android device’s maps, texts, music, emails and more right through your controls. Wireless Charger on the Qi charging station lets you charge compatible smartphones when you need it. On-Demand Multi-Use Display 2.0 is quick to respond and configures the touchscreen to your needs at a given moment. Surround View Camera uses six unique camera views to help you back up and park with confidence. Opt for the Technology Package in the Acura TLX, and you’ll find more excitement in your everyday Manhasset ride. 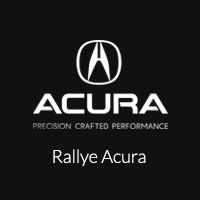 Rallye Acura has a 2018 Acura TLX waiting for you – you can even take a test drive of both the Acura TLX and Acura ILX to see which one might be right if you aren’t sure. You’ll also get up close and personal with this model, letting you check out the TLX interior and the pair of engines that define the TLX performance. Aside from the tech package, you can also explore the Acura TLX A-Spec too. Visit us today at 1750 Northern Boulevard in Roslyn, NY, or contact us at 516-508-9147 to learn more about our current offers.